Dr. Mark Wholey is the director for vascular and neurovascular interventions at the Allegheny Health Network in Pittsburgh and an adjunct professor of engineering in medicine at Carnegie Mellon University. 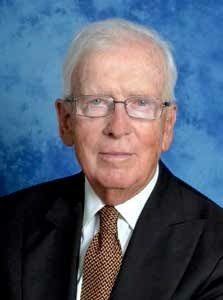 He is also one of the two people behind the creation of the flow-controlled angiographic power injector and an original founder of Medrad, now part of Bayer, which provides a portfolio of products and services along the radiology workflow, including contrast injection, informatics and service. The pair met for lunch nearly every day over the course of six or seven months to discuss the potential design and to determine the necessities of the equipment. Then they started the build with the initial results falling short of what they had hoped for. “The first injector we built was a hydraulic injector. We noticed it was very hard to build because it was always leaking as oil does,” recalled Wholey. Heilman decided they needed to build an electric motor-driven injector. “I said ‘no … we have to … no, starting all over…’ but he insisted,” said Wholey. Fortunately, the second time was the charm. Once the concept was decided, they stayed with it with Heilman working day and night on it, even turning his own home into a laboratory according to Wholey. It would be difficult to replicate their success story today, partly because at the time (mid-1960s) there wasn’t FDA regulation on devices. “It was an era in medicine where a lot of freethinking and device development occurred and that’s why so much progress was made in that era. I don’t recall any major objections, but we were so wound up ourselves. We really didn’t look for problems,” said Wholey. On further contemplation Wholey remembered some problems, some they had control over and others that required innovation to catch up with the work they were doing.